This single line telephone features a 2 line, 24 character display, speaker phone and 16 programmable feature keys with twin lamps. There are also 8 fixed feature keys for common telephone functions. 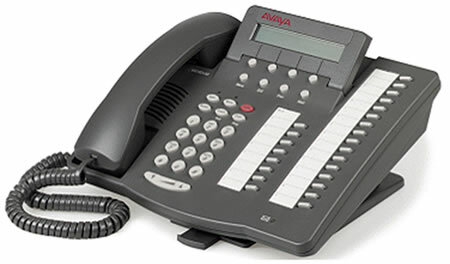 The Avaya 6424D digital phone connects to the IP Office server through an IP Office digital station port.